One of my favorite places in San Francisco that I really wanted to show Sally is Musee Mecanique. This is a family-owned museum in Fisherman's Wharf that has over 200 old-timey coin-operated arcade machines. It's free to go in and they have change machines so it's easy to turn a few dollars into coins and then into magic! This place is amazing! They have mechanical cowboy marionettes, fortune teller machines, an elaborate miniature carnival with dozens of moving scenes, a ferris wheel made of toothpicks, and about a million of other awesome things! 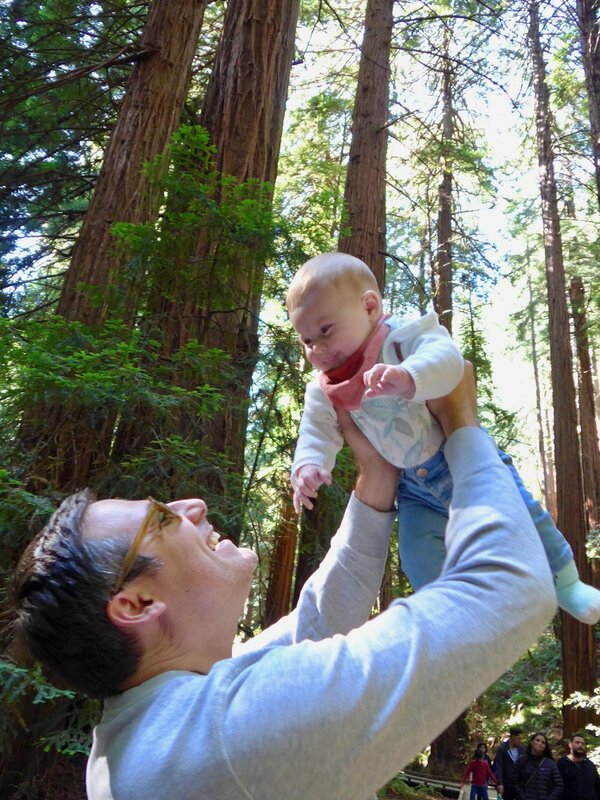 I have been there a number of times before we had a kid, but with a kid it's even better! Oh, and the museum is right on the water with an great view of the Golden Gate Bridge and Alcatraz as you breastfeed (another one for my Breastfeeding Around the USA calendar... I really should make that). Sadly, as always, I forget to reserve Alcatraz tickets in time. We'll just have to save that for our next trip! The Harrises wouldn't be able to travel to California without seeing some redwoods, but first we had to pickup our dear friend Erin who lives in SF. 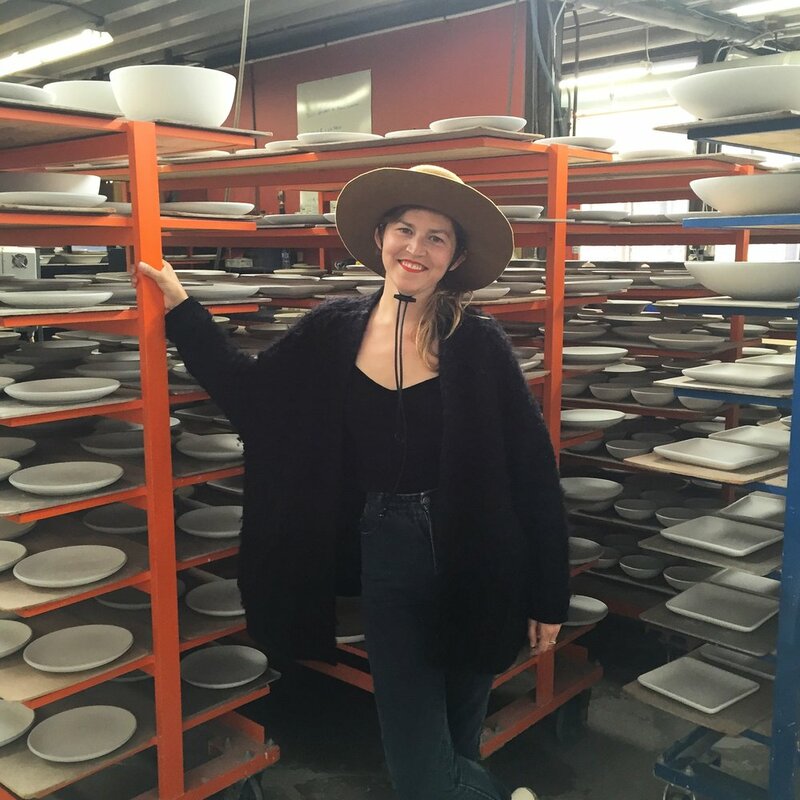 She works at Heath Ceramics and before heading to the redwoods, Erin was able to give us a quick tour of the Heath factory (which they also offer tours even if you don't have a friend who works there). Heath has been creating beautifully designed ceramics and tile out of their factory in Sausalito since the 1940s. It was certainly cool to see the behind the scenes action! Our short hike was capped off with a visit to The Pelican Inn for some food and drink. The Pelican Inn is a beautiful 16th century-style English Inn on the Marin Coast just minutes from Muir Woods. They do have rooms where you can stay, but we just came for a quick beer and snacks in the cozy bar area (I wish I got some pictures of this place, but I was too busy being cozy and chatting). Sally especially enjoyed walking around on the lawn and watching some older kids play tag. 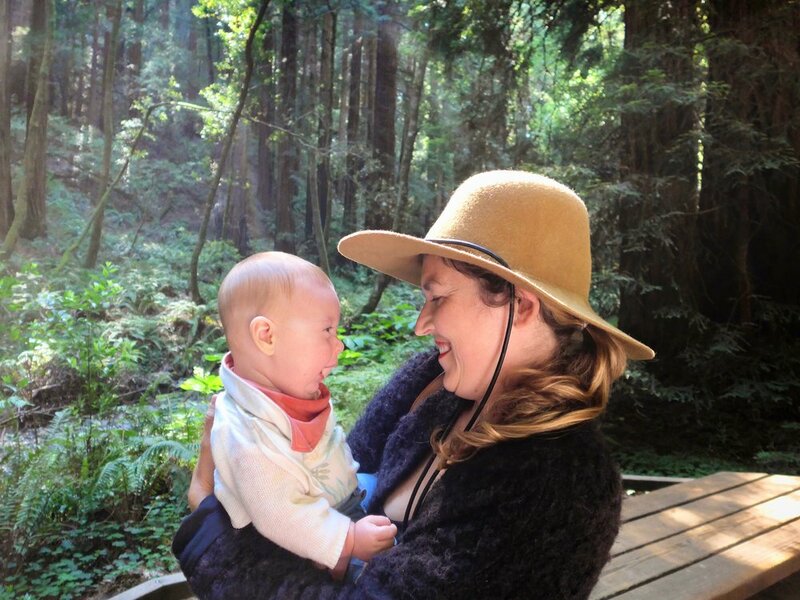 The Pelican Inn is pretty magical and a good addition to any trip to Muir Woods! Thanks for the tip, Erin!